Got a wedding to plan? This is an incredibly exciting part of your life and it is sure to be one of the happiest days of your life, but it is also one which can cause a tremendous amount of stress with a huge amount to get organised. Preparation is the key to success and you will want to give yourself plenty of time to handle all of the different aspects. It can be hard to know where to begin, but read on for the aspects that need to be arranged first. First, you will want to find the perfect venue for your special day. This should be somewhere that you both feel comfortable and believe will be the right place for you to start this new chapter in your lives together. For many people, they will want to choose somewhere relatively close to their base so that it can be simple for friends and family to attend and return home (or find accommodation nearby). For other couples, you may want to get married abroad or far from their home and hope that friends and family will be able to join. When you find the right venue, this will also allow you to choose a date for your wedding. This will depend entirely on your own preference, but you may want to give yourself a decent amount of time to get everything prepared in order to reduce stress. The weather may also be a factor, although it will always be somewhat unpredictable so keep this in mind! Now that you have a venue and a date you will want to get your invitations sent out as early as possible. This should give your guests enough time to clear their calendars so that you have all of the important people in your life there celebrating with you on your special day. At this point you may want to decide on who will be in the wedding party, but it is not essential at this time. It is important to get the rings arranged early on as they can take up to 10 weeks to be ready and you will certainly want these on the day! You will both want to spend some time looking at wedding rings and deciding what type you both like and then make sure that you have your ring size ready when you place the order. It can take a long time to find what you want and a long time to get them ready, so make sure that this is high up on your list of things to do. These are the aspects that you need to get arranged as soon as possible. 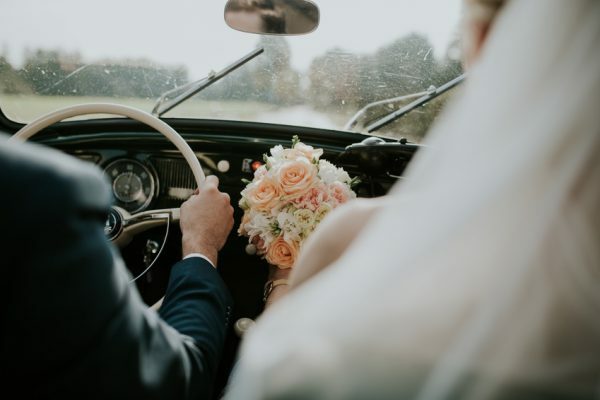 Organising a wedding will certainly cause a great deal of stress, but getting these aspects sorted quickly will get you off to a good start and allow you plenty of time to focus on the other key areas. With enough preparation, it is sure to be a special day and a terrific celebration of your love for one another.